A few quick shots of a great afternoon at Duxford today, largely went to see the Vulcan performing a flypast as the part of the “V Force Tour” which has been taking place all over the country this weekend. 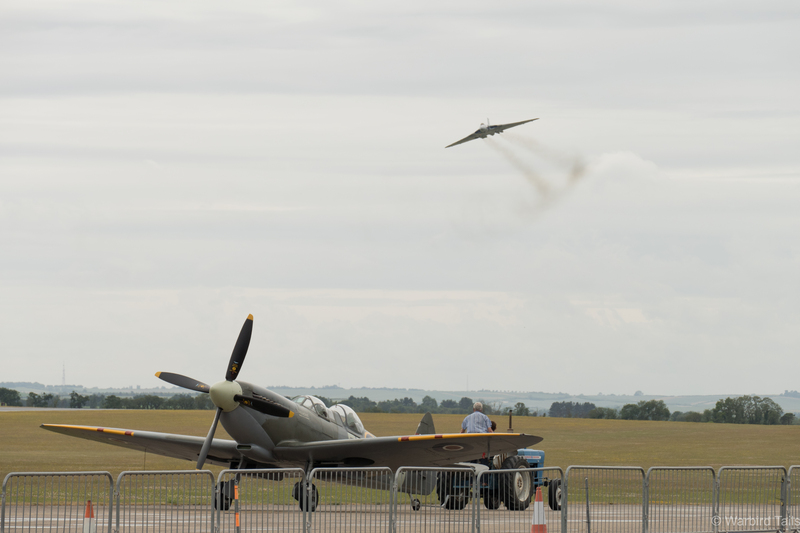 “Only at Duxford ” Xh558 Runs in over Spitfire PV202. The Vulcan arrived shortly after two o’clock, performing a couple of flypasts as well as an impressive wingover before clearing to the south en-route to Southend, its always great to see the Vulcan, especially given the end of her flying career is fast approaching. 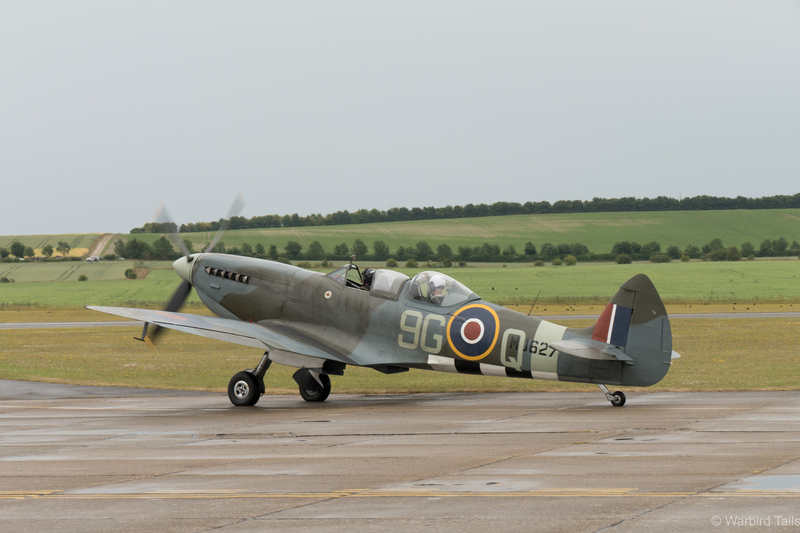 It was especially nice to see her passing over a Spitfire on tow as well as Sally B waiting at the hold, two unique sights to Duxford! …and another sight that can’t be seen anywhere else. I don’t think I’ve ever seen Duxford so busy on a non-airshow day either, with plenty of cars being marshalled on to the airfield parking. 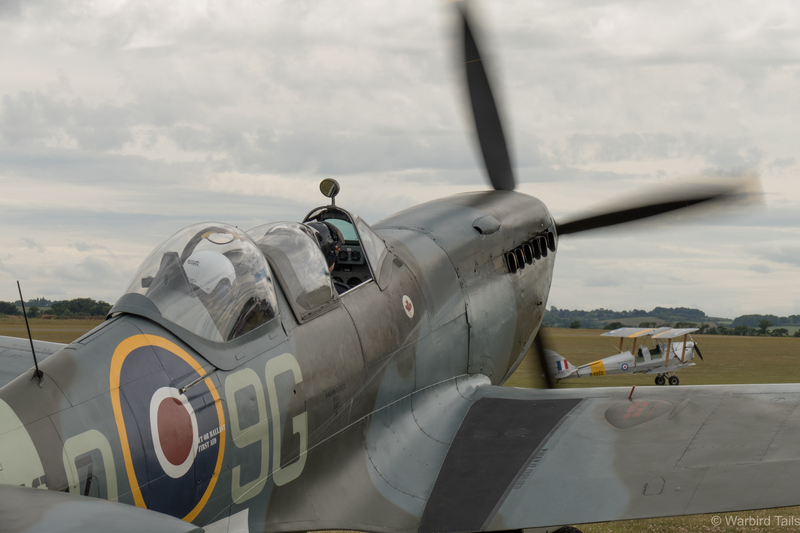 Spitfire MJ627 was busy all afternoon taking passengers up for the flight of a lifetime. ‘627 looks great since the recent repaint carried out last year. 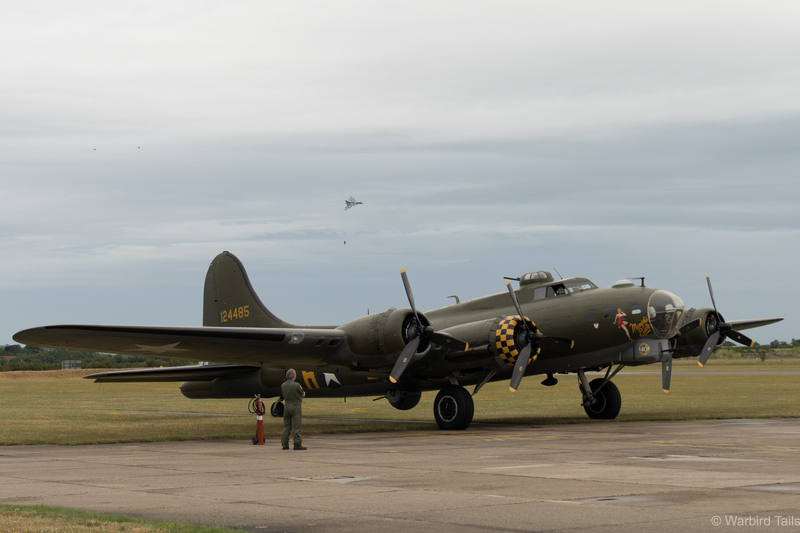 Aside from the Vulcan flypast there was plenty of other activity, including the Blenheim and B-17 departing to and returning from displays at Cleethorpes. 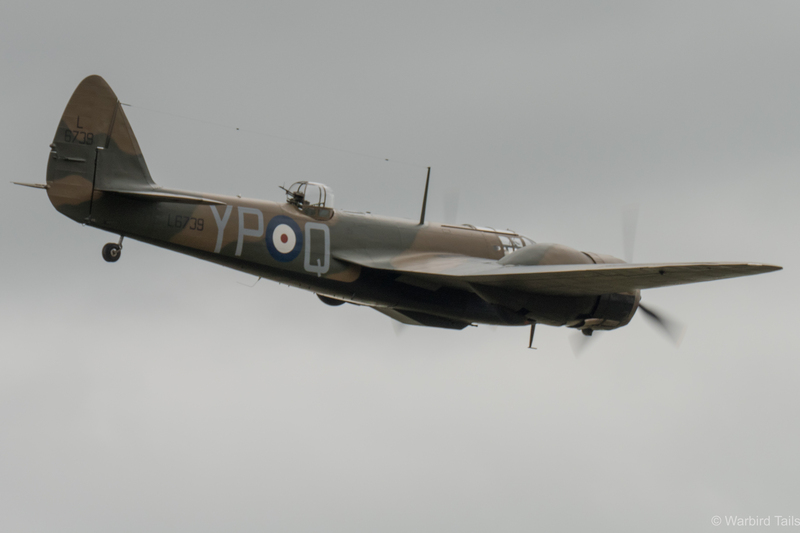 Classic Wings were also busy with flights in the two seat Spitfire, as well as a number of “Wing To Wing” trips with the Rapides. A very busy aeroplane of late! 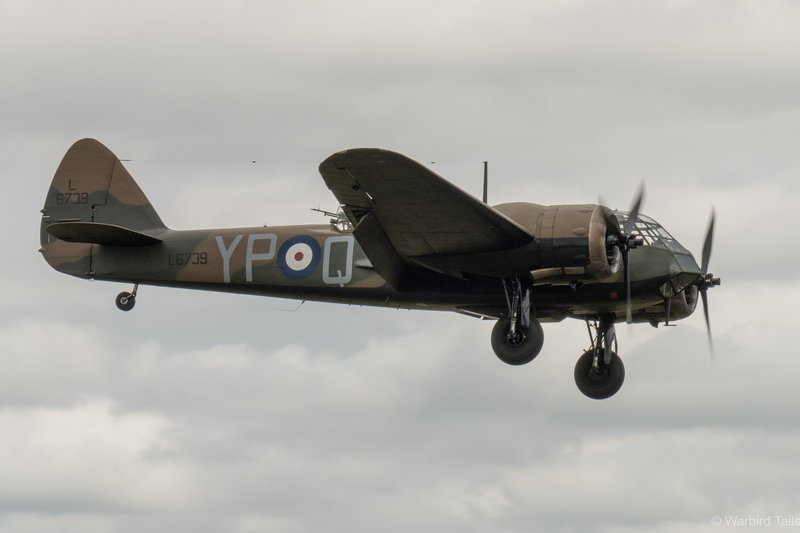 The Blenheim returns from yet another airshow appearance. A truly unique shape on the airshow circuit! 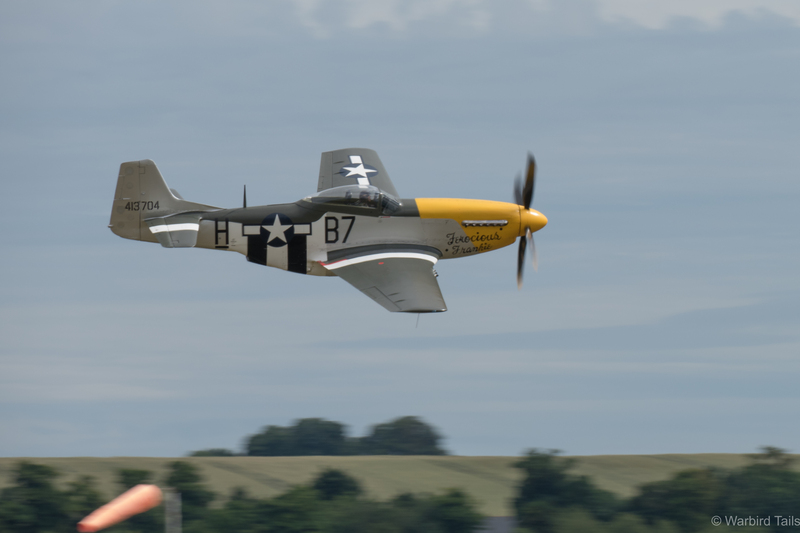 Other Warbird activity included the Catalina and the Old Flying Machine Company P-51D “Ferocious Frankie”. Alistair Kay gave a spectacular pass before departure. 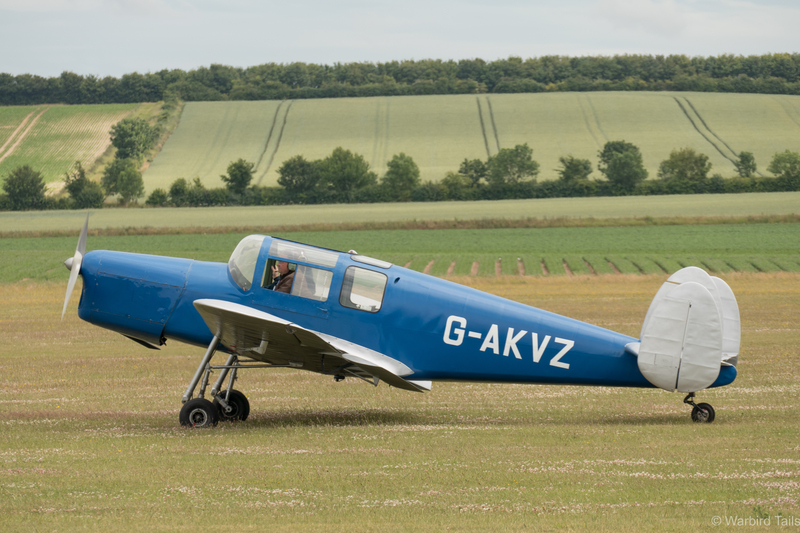 Other noted visitors were the Miles Messenger and Hornet Moth of the Shipping and Airlines collection from Biggin Hill. 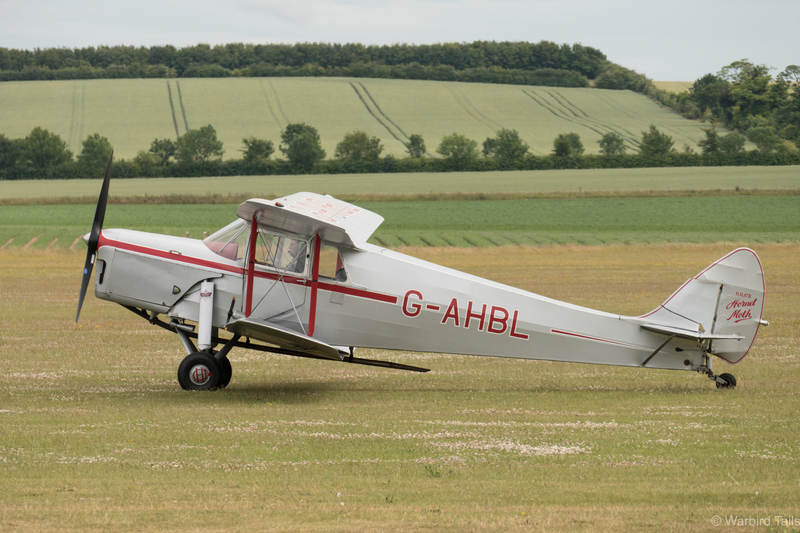 Shipping and Airlines’ Miles Messenger…..
A very enjoyable afternoon and proof, not that its needed, that a Duxford visit doesn’t need to be saved for an airshow weekend!